Many businesses find it difficult to maintain a healthy cash flow. One reason for this is having clients who don’t pay their bills promptly. Pressuring customers to pay is always a little tricky. You want to maintain a cordial business relationship. At the same time, you need to get paid so you can meet your own obligations. Here are five ways to get paid faster and enjoy better cash flow for your business. If you want your clients to pay on time, it’s essential to keep accurate records and send out invoices properly. If you’re using an outdated, paper-based system for billing clients you should consider switching to a more efficient cloud-based model. Cloud services make it easier for you to bill clients and easier for them to pay. When you pay your own invoices on time you strengthen your business credit and are more likely to get favorable terms from vendors. This is important for your long-term cash flow. On the other hand, if you’re often late with payments other businesses are less likely to extend credit to you. If you want your customers to pay their invoices faster, give them a cash incentive to do so. Let them save money if they pay within a week or whatever time period you specify. At the other end of the spectrum, you can charge a fee for late payments. This will make it clear to clients that paying promptly is in their own best interest. The more willing you are to work with clients to set up mutually beneficial terms, the more likely you’ll be paid on time. Every client and transaction is a little different. In some cases, you may be able to get a deposit up front for certain jobs. You may be able to arrange a payment schedule rather than having to wait to receive the entire sum at once. Customizing payment arrangements can often result in the best solution for both you and the client. No matter how efficient your accounting and what kind of terms you arrange with clients you can’t always control when they pay. Invoice factoring is a type of financing that helps to free you from worrying about late payments. 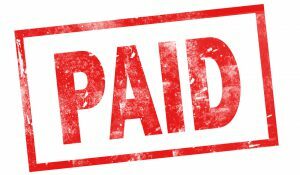 When you work with a factoring company you receive payment for outstanding invoices up front so your cash flow situation immediately improves. Additionally, you don’t need to deal with accounts receivable and collections. . You deliver your goods or services, send your invoice to the factoring company who will pay you right away, and your clients pay the factor. It’s simple to set up and an efficient way to quickly start getting more cash when you need it. Riviera Finance has helped businesses of all sizes solve their cash flow problems for almost 50 years. To learn more about how invoice factoring can help your business, contact Riviera Finance today.